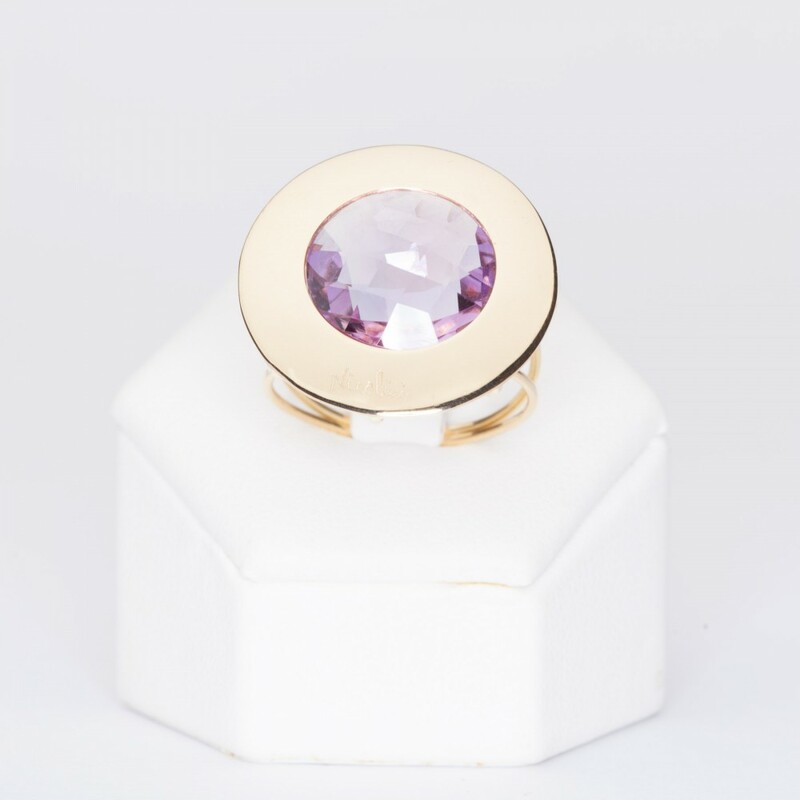 Handmade ring in 18 kt gold and natural amethyst. 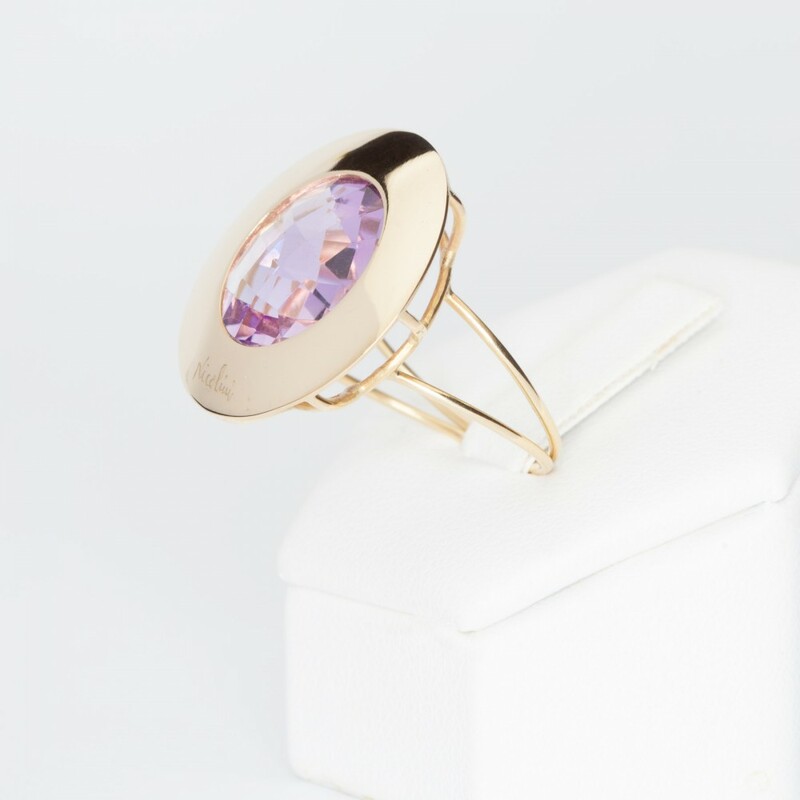 Handmade ring in 18 kt yellow gold, with natural briolette amethyst. The ring has 26 mm of diameter, the ring size is 16. If this size doesn't fit you, you can return it by indicating the desired size and we will arrange it at no extra cost, except the shipment cost. This precious item goes with its own guarantee and packaging. Make a present! We prepare the pack and write the greeting card for you.